Moss envy! 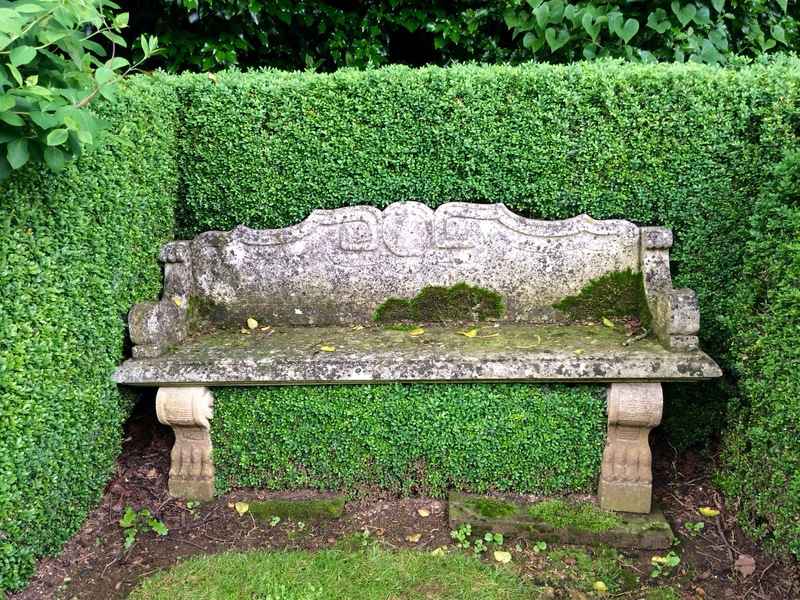 I dreamed of recreating this ancient looking moss in my home garden. 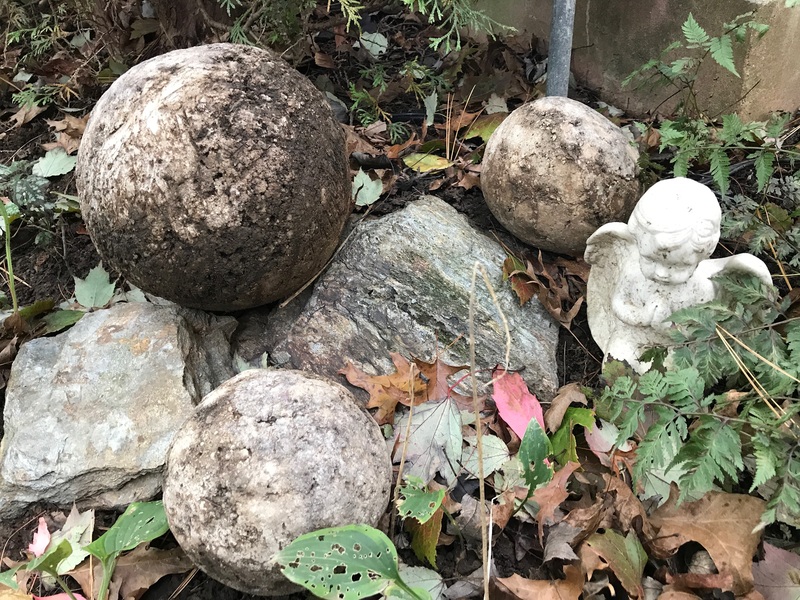 I recently had made hypertufa garden spheres and was dreaming of making them look more like old English ones. You can view the tutorial on how to make your own garden spheres here. New hypertufa creations are begging for some moss! Before you proceed, the concrete should be totally cured so its natural alkalinity has had its pH neutralized. Moss does not thrive in acidic conditions. 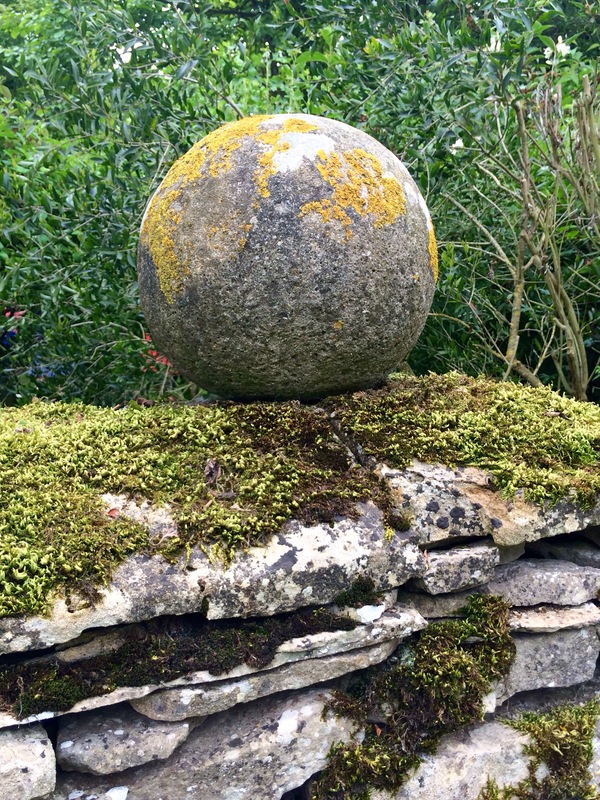 To weather my hypertufa project and add some of the treasured patina I love in gardens that whispers of antiquity, I used a buttermilk-moss mixture I painted on the spheres. The buttermilk nourishes the moss spores and creates a suspension that can be painted on whatever porous surface you are trying to encourage moss to grow on. To make this aging elixir, it is best to harvest moss that is already growing on stone as you know it is happy in this setting. I used a paring knife to lift moss growing on some concrete pavers. 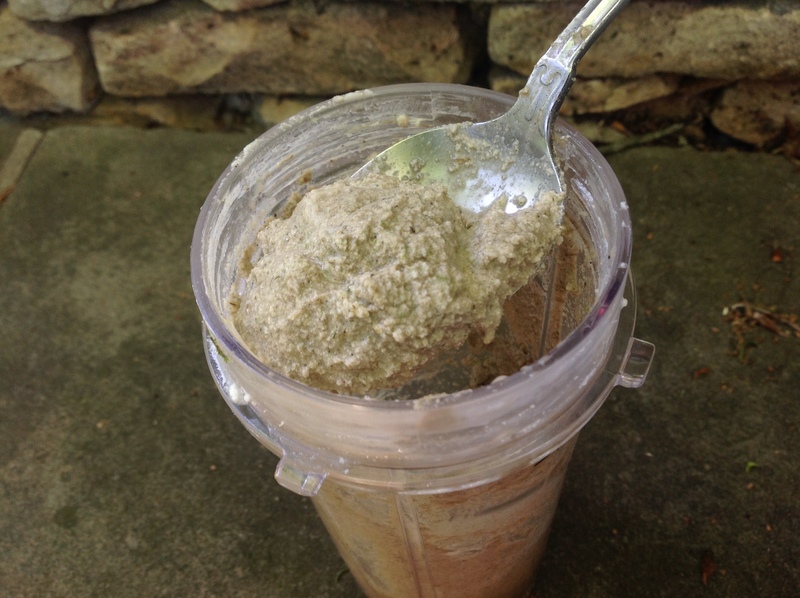 In a blender, I puréed about 2 tablespoons of moss in a cup of buttermilk until I had a thick paste. You can find an old blender exclusively for this use in a yard sale or thrift shop but I had no problem rinsing all the moss paste out of our kitchen blender. (!!!) I painted this paste on the spheres, on a clay pot and on an angel statue that has been in the garden for years. I left them in the garden to “weather”. 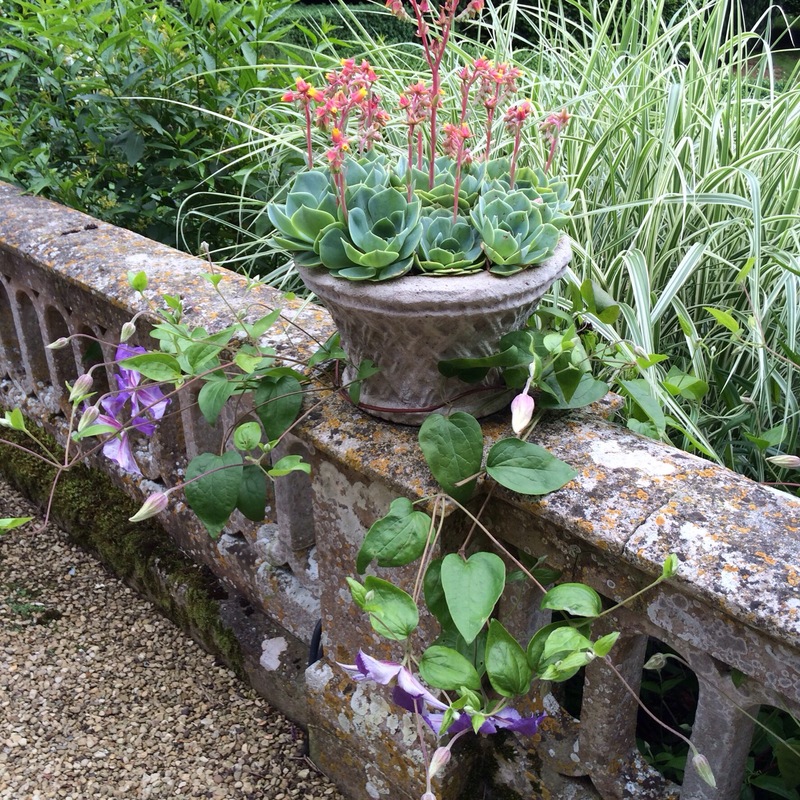 For the best results, situate your hypertufa or clay pots coated with this mixture in shade and near where you harvested the donor moss as you know moss is happy growing in those conditions. 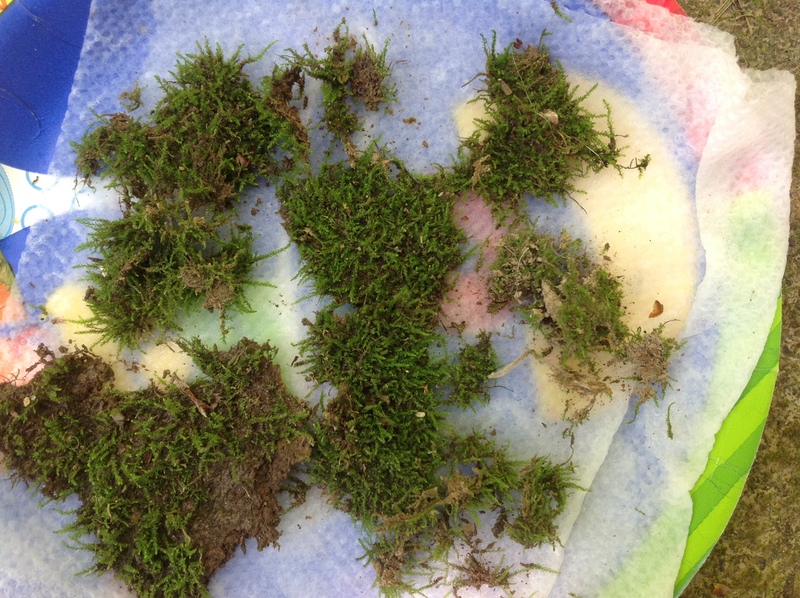 Keep the harvested moss moist on wet paper towels while you work. The buttermilk-moss elixir. You can also use yogurt or beer instead of buttermilk. If you want to paint it on, you can add a little more buttermilk to make the paste more spreadable. Because I was working on a spherical surface, I wanted it thicker. 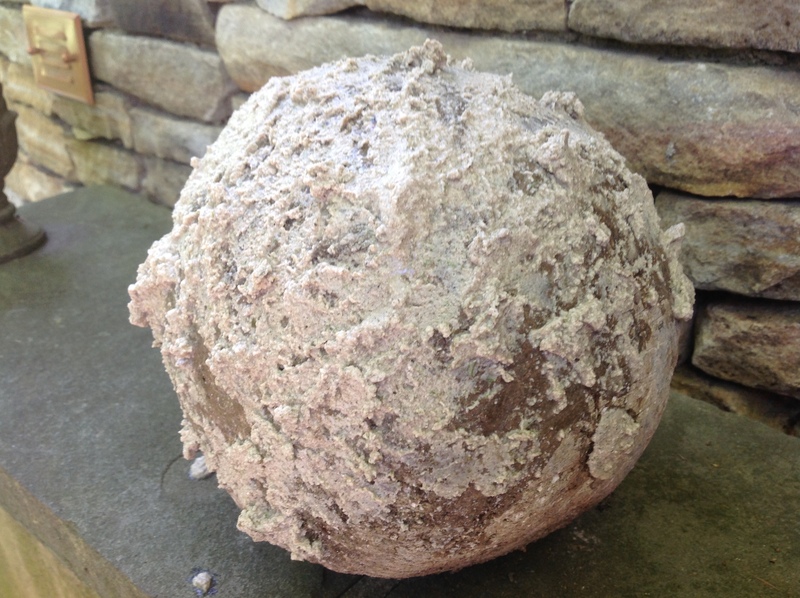 The hypertufa sphere coated in the growing medium. Painting some of the elixir on clay pots to encourage moss growth on the clay. Once you have painted the hypertufa and clay, keep your items in a moist environment. Spray gently with a mist daily for about a month. 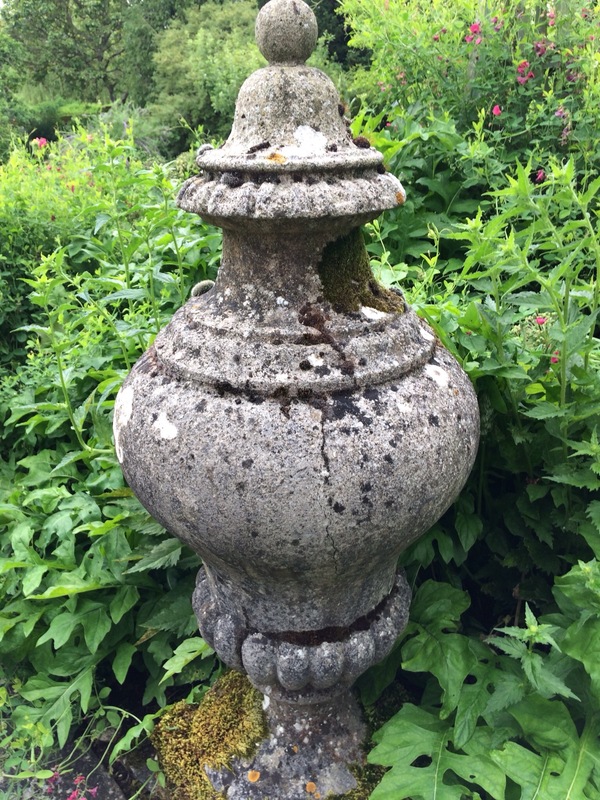 The moss should begin growing and once established, it will return season after season, making it look like your garden pots, troughs and spheres have been handed down through generations with their ancient patina. Well, 3 months into this project, my spheres and planters were still bare! To be fair, I had traveled to Morocco in that time and had failed to mist the spheres during my absence. So back to the drawing board I went. 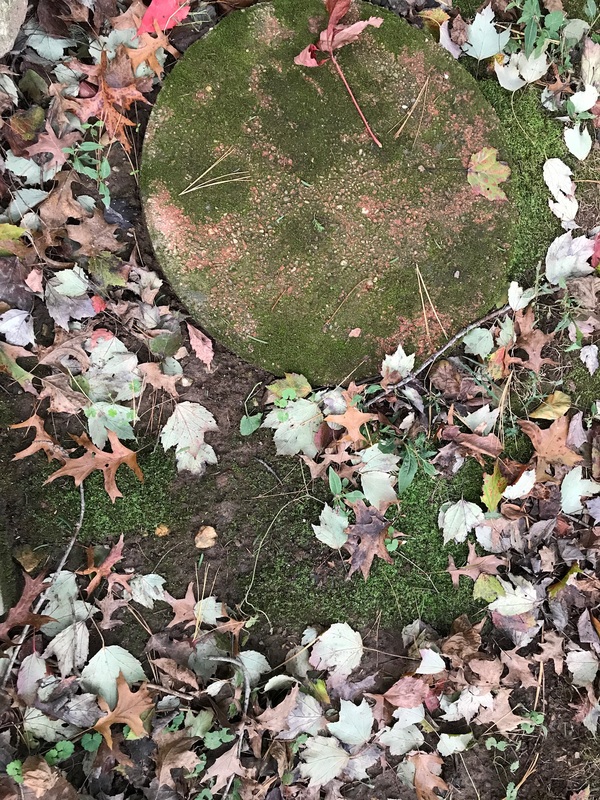 I researched several garden sites on problems growing moss on stone and found numerous explanations. Some swore on beer and adding sugar to the elixir. So I made a beer/fresh moss/sugar concoction in my blender(1 cup beer to 1/4 cup moss to 1 tablespoon sugar). It made my kitchen smell like a frat house and off I went to repeat the brushing on exercise described above. Home for many consecutive weeks, I even sprinkled the spheres with more beer for days on end to keep it moist and “feed” those baby moss spores I hoped were growing. Not a beer drinker, I thought my husband would wonder where those beer bottles piling up were coming from while he was away on a business trip so I had to confess what I’d been up to! Isn’t the life of a blogger exciting? Dirty evidence of where the yogurt mixture was smeared on the spheres and NO MOSS! 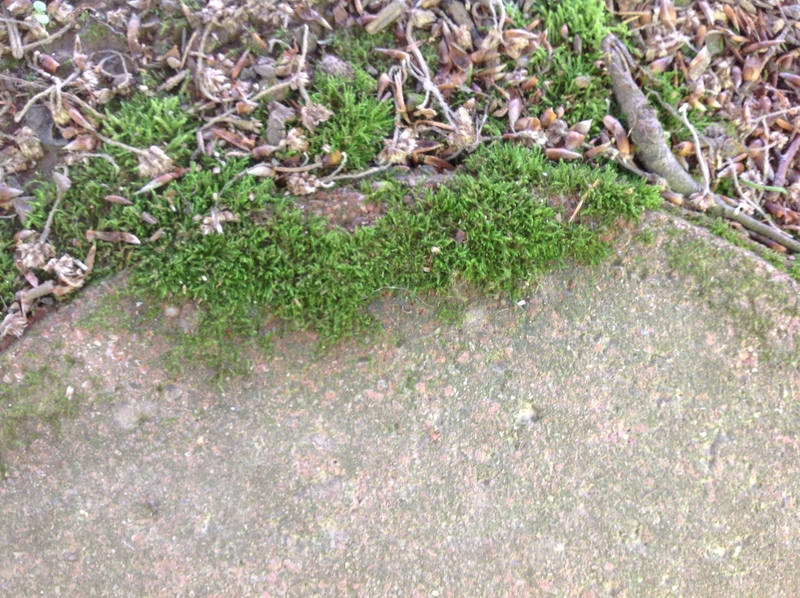 Nearby, a lot of moss is thriving on concrete pavers in the same exact moist shade environment. With fall upon us, I figured I should throw in the towel and just finish writing the post I began 6 months ago and admit defeat. 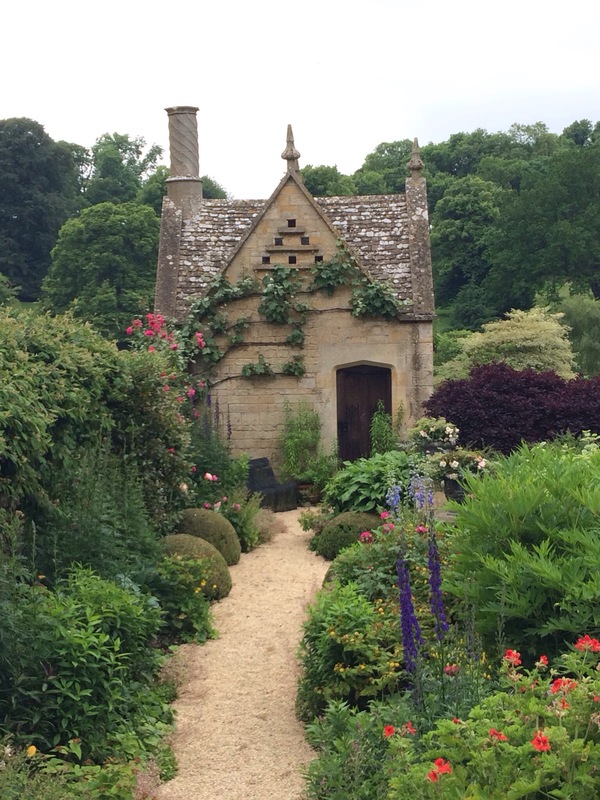 At least there are a lot of pretty garden pictures to enjoy in this post! If you have had better success growing moss on hypertufa, please let me know your secret! Until then, I’m hoping once I abandon my efforts, moss will suddenly grow with abandon when I am least expecting it. Stay tuned! 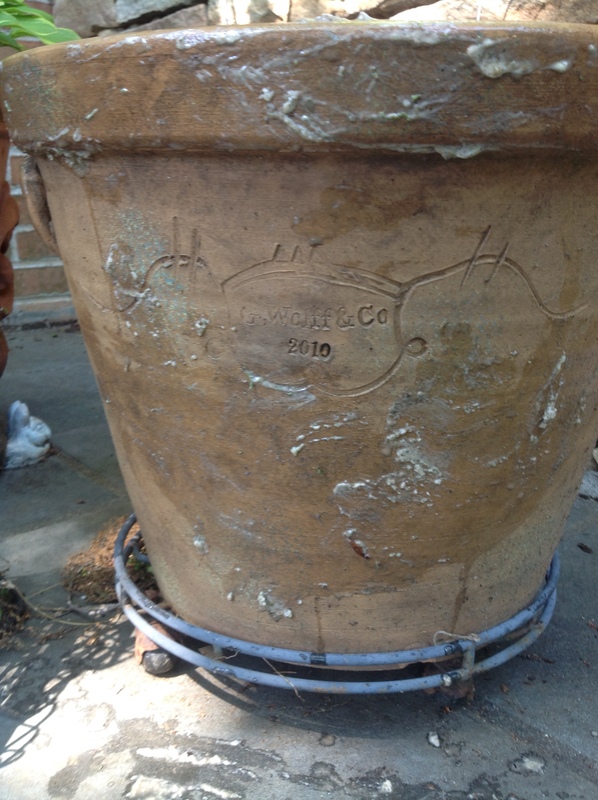 This entry was posted in Gardening and tagged buttermilk moss recipe to grow moss on pots, creating patina in the garden with moss, growing moss in the garden, growing moss on clay pots, Growing moss on hypertufa, growing moss on stone by Johanne Lamarche. Bookmark the permalink. How clever you are Johanne! I remember I had a neighbor in my previous house who absolutely adored moss and tried to grow it in her garden (she’s British). 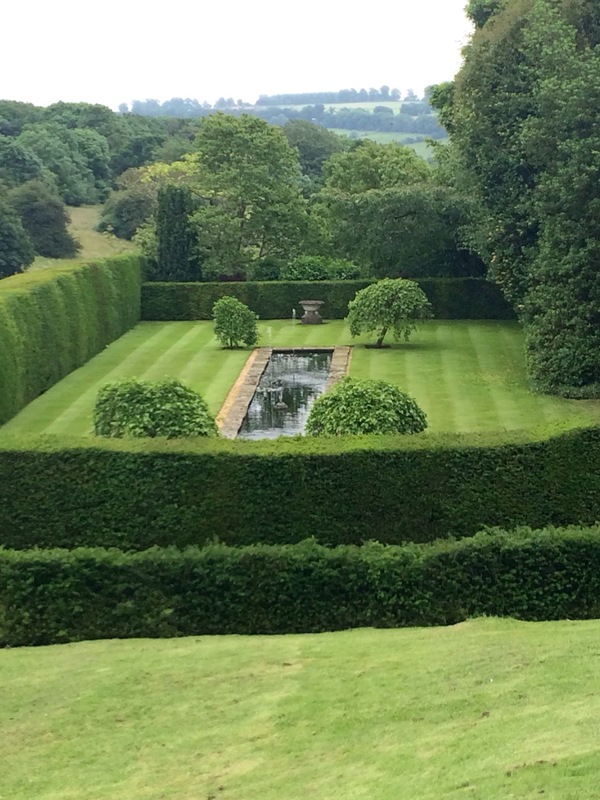 Love those gardens from England, like you say they are as ancient as the hills. 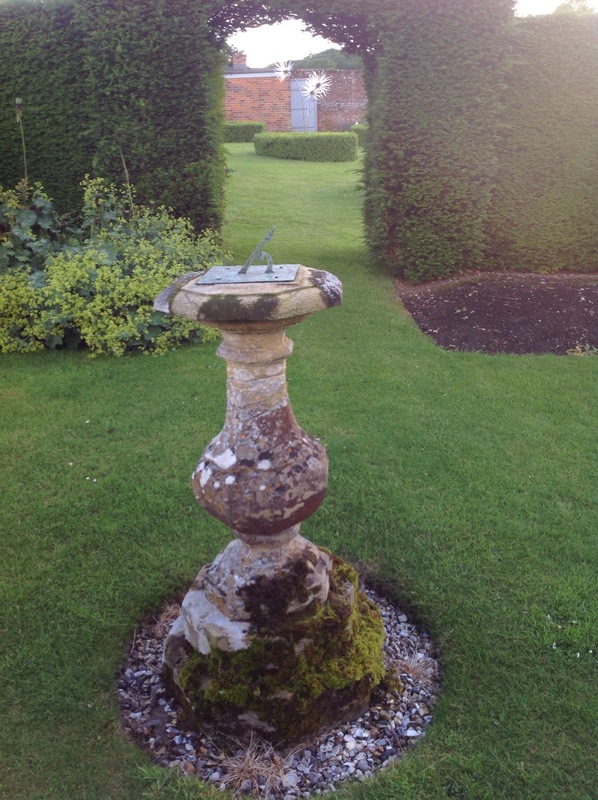 Those English gardens were all private and so wonderful to visit, Loretta. 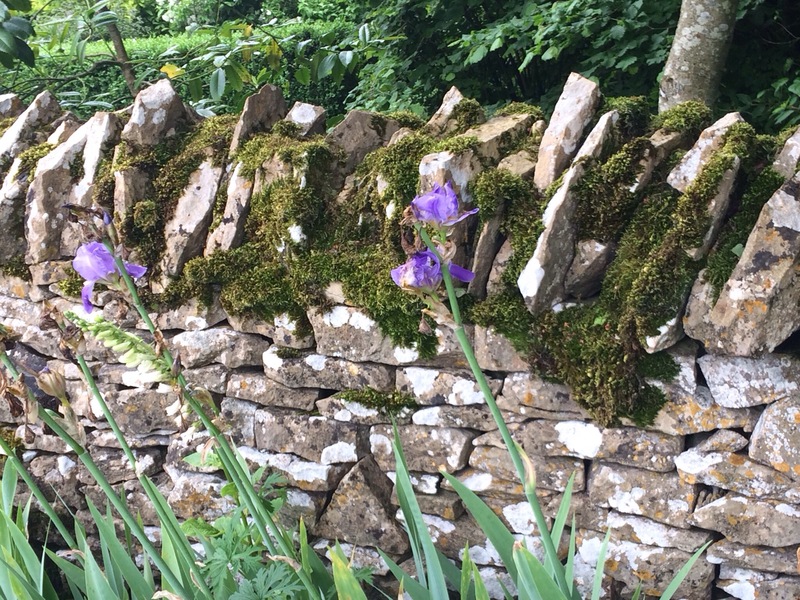 They are all so lush with all that rain. A very memorable trip. I just can’t believe I could not get moss to grow! I am leaving for Europe tomorrow and thought I am just going to publish this post that I’ve been saving for 6 months with my honest results, or lack thereof! There used to be a moss gardener near Collegeville who was featured in Eden on Her Hands. He was putting the house up for sale. I sure hope the new owners continued his legacy. Moss is just so interesting and once established can grow for decades. Persistence pays off! I’ve never thought about growing moss, and to hear about mixing it with buttermilk to get it going…wild! Pancake batter, yes. To grow moss? Just genius! I’m glad you were able to get it going! I’m thinking I should enjoy buttermilk pancakes while I wait and watch for that moss to grow!! Love these posts. Let’s see what develops by this time next year. I just might be pleasantly surprised! 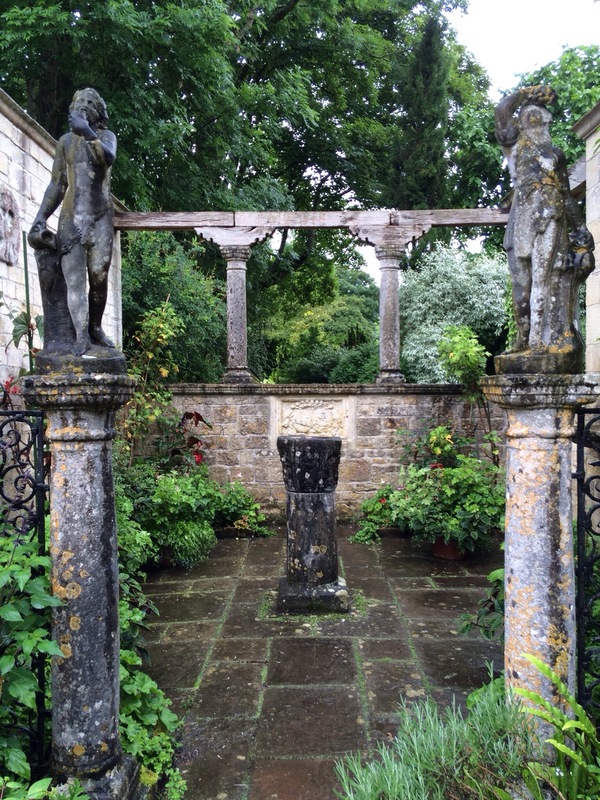 These gardens were enchanting Josette. 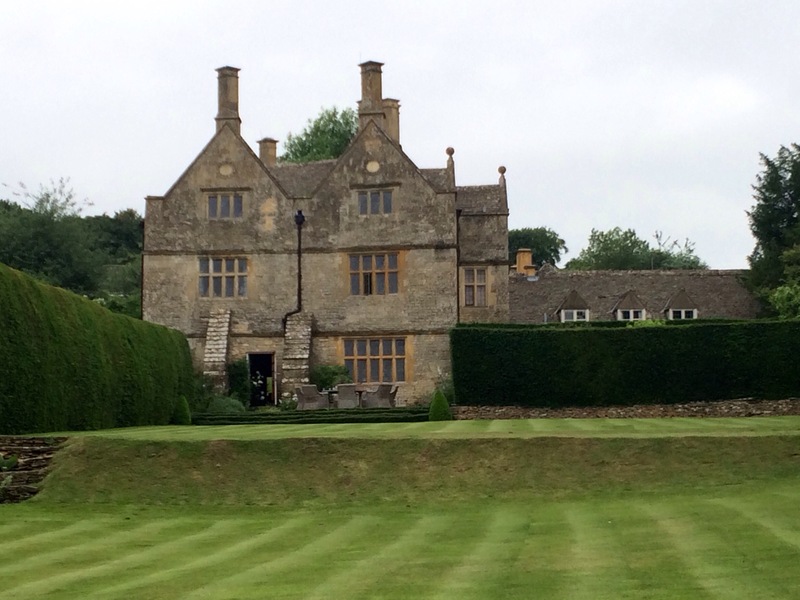 Very special places each one of them, mostly in the very lush Berkshire part of England. It was a wonderful trip. Wow Johanne, how cool is this! I am so impressed how you figured all this out. 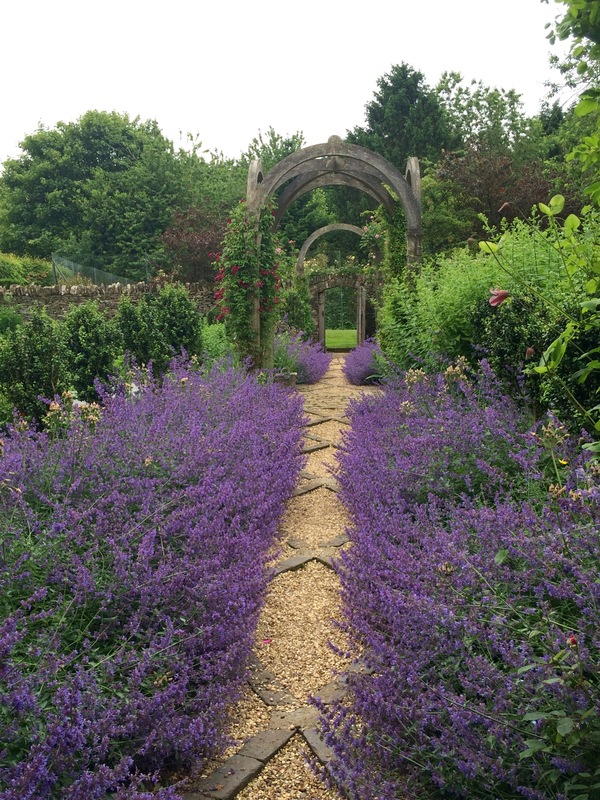 Your garden photos are all just stunning!